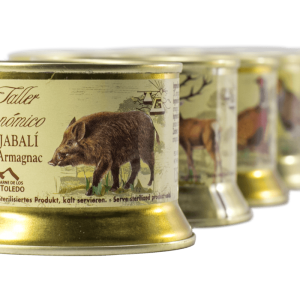 One of a range of game pates from Toledo in central Spain, this is made using wild boar and pork liver with the addition of truffle and a little Armagnac. 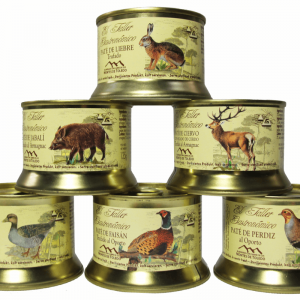 Presented in a traditionally decorated tin. You can read more about our supplier Here. 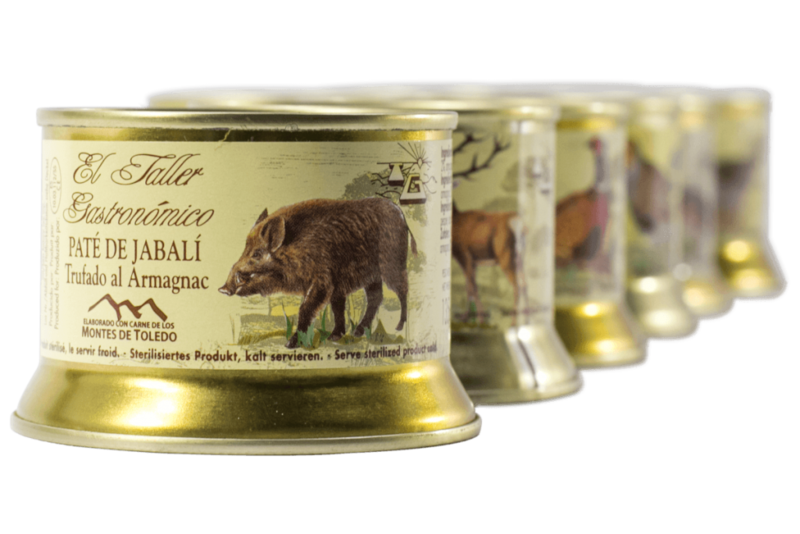 INGREDIENTS: Wild boar meat (25%), lean pork liver, pork fat, milk, eggs, truffle (2%), Armagnac (2%), salt, white pepper, corn starch, stabalizer (E451), preservative (sodium nitrate). 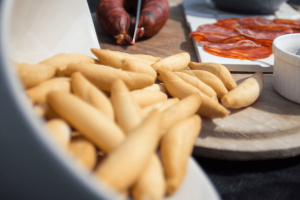 NUTRITIONAL INFORMATION per 100g: Energy 1327.22 kJ/ 317 kcal, fat 29g, of which saturates 11.5g, carbohydrate 2g, of which sugars 0.5g, protein 12.1, salt 2g.